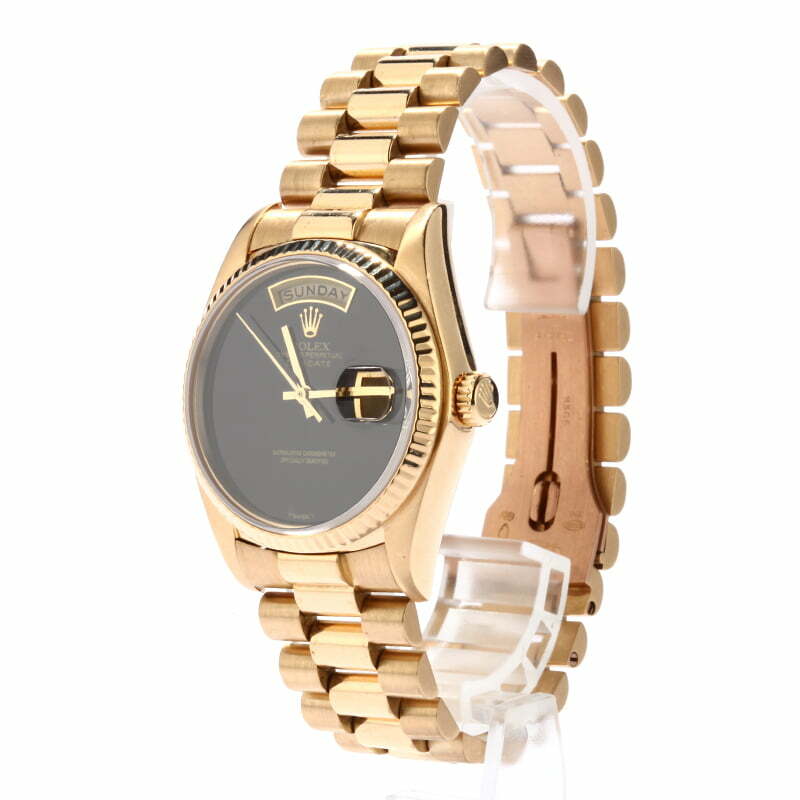 If you seek a gold Rolex President Day-Date with dramatic style, the preowned Rolex 18038 that is presented here today may be the perfect watch for your wrist. 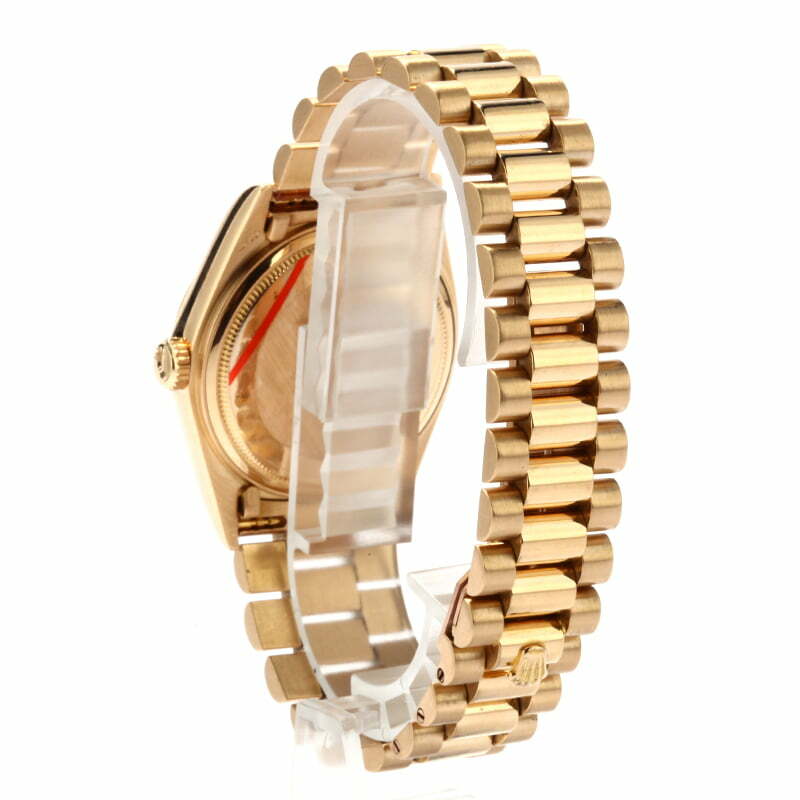 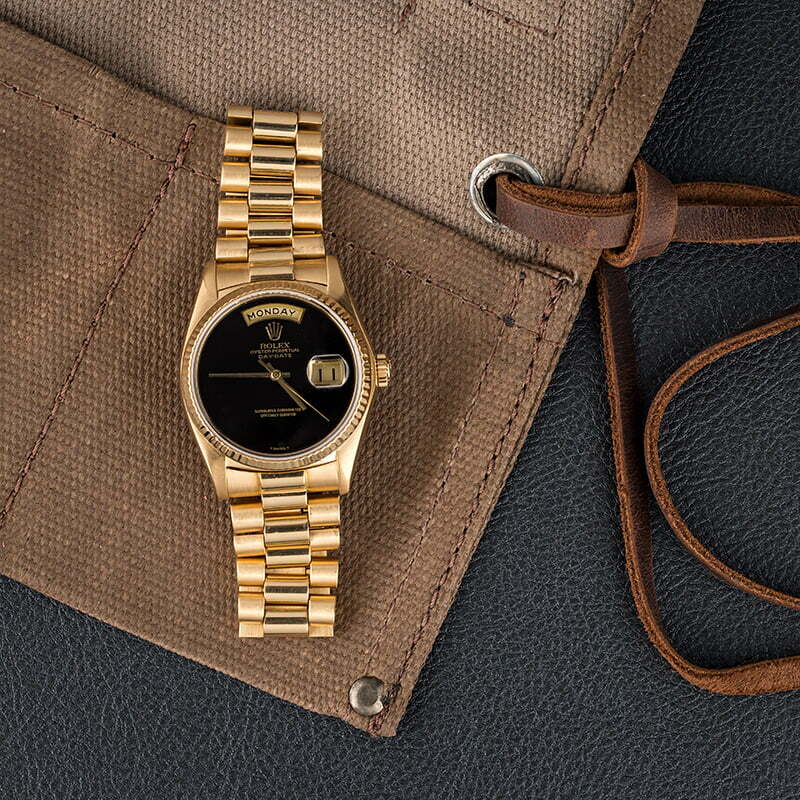 Its feature set includes the model's iconic satin and polished 18 karat yellow gold finish as well as a classic 36mm Oyster case and a President bracelet with semi-circular links and a hidden Crownclasp. 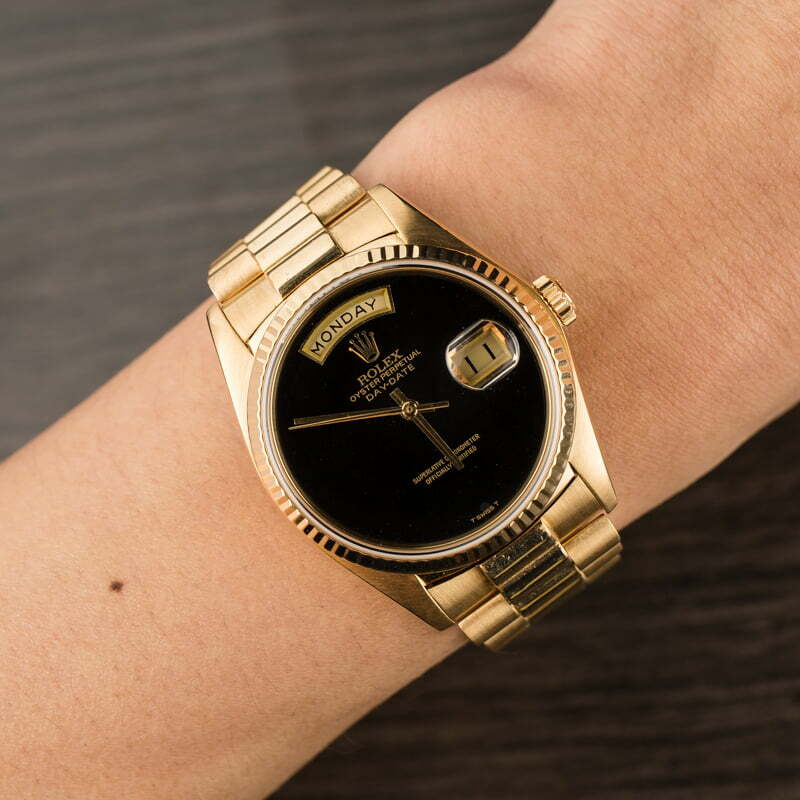 A black dial offers a sharp contrast to the gold finish and features central hands, the Rolex logo, gold text, and day and date displays only. 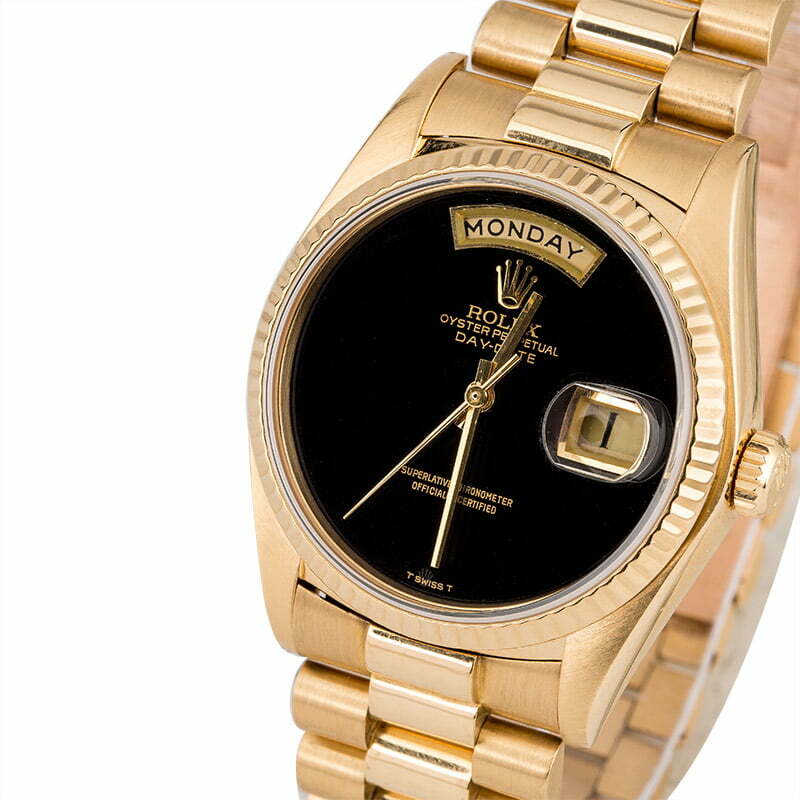 The lack of hour markers gives the dial a distinctive character that is unlike any other timepiece in your luxury watch collection.